Free of allergens doesn’t mean free of flavor! This recipe for a savory traditional main dish is gluten- and dairy-free, and is bound to become a family favorite. Heat skillet; once heated, add olive oil. Add onion and sauté (30 to 60 seconds). Add the ground meat of your choice, and sauté until no longer pink. Add herbs and marinara sauce. Heat through and keep on a low simmer. In a food processor, place tofu and mozzarella - leaving out 4 ounces of the mozzarella for the topping at the end. Blend to a smooth consistency. Add a little water, only if needed for smoothness (you want to reach the texture of ricotta cheese for the inside filling). Bake covered at 350 degrees for 45 to 60 minutes. Test at 45 minutes by using a sharp knife through the noodles; if noodles are soft, uncover and top with the balance of the mozzarella cheese; let brown for 10 more minutes. Let dish stand for 15 minutes, serve and ENJOY! 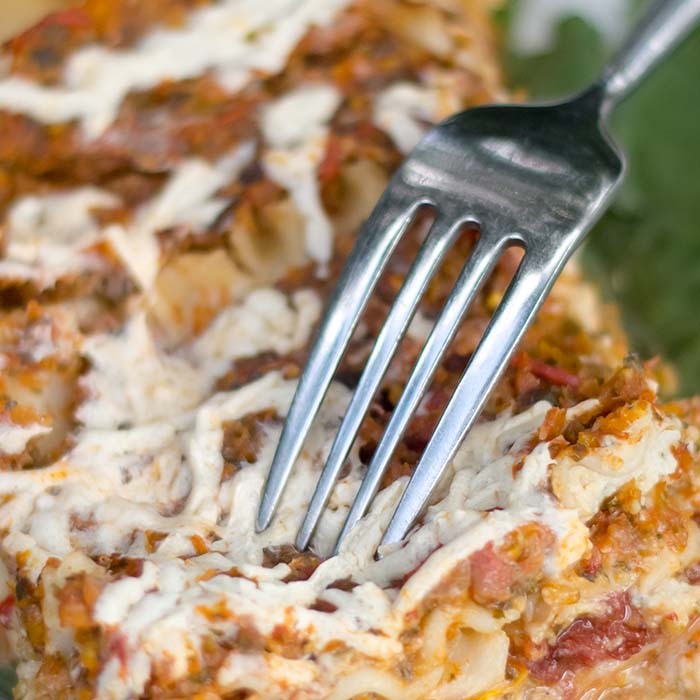 You can spin your lasagna any way you and your family like - in lieu of a ground meat, sausage and chicken are great alternatives. You can add any vegetable of your choice to this recipe, or make it vegetarian completely. I always add a few cloves of garlic (when sautéing the onion) for its health benefits. Feel free to up the amount of parsley or basil - as I say, get that green however you can, and mix it up!